Fact: The C of E London diocese (region) grows year on year and has started to plant new churches. And they are not the only ones doing it. In its homeland, the Church of England is doing something that most denominations in Western countries have not been able to ignite or sustain. It is taking Church planting seriously, and will spend 47 million dollars to create 100 new churches by 2020. “Churches plant churches not denominations” is a mantra of many church planters – could the Church of England be about to prove that wrong? In Australia during the past two months to advise and enthuse local Christians about church growth, church planting bishop Ric Thorpe has a radically inclusive approach to spreading the good news of Jesus. Supported by the Church of England’s Centre for Church Planting and Growth, chatty chap Thorpe isn’t limiting church planting to the aforementioned examples, or to his own brand of Christianity. While he is happily grounded in the Anglican Church in England, Thorpe believes God needs all Christians – irrespective of denomination, background or style – to proclaim who and what their faith is in. As he has done in Australia by meeting with Anglican, Baptist, Catholic, Pentecostal and Uniting Church groups, Thorpe loves working alongside different denominations. 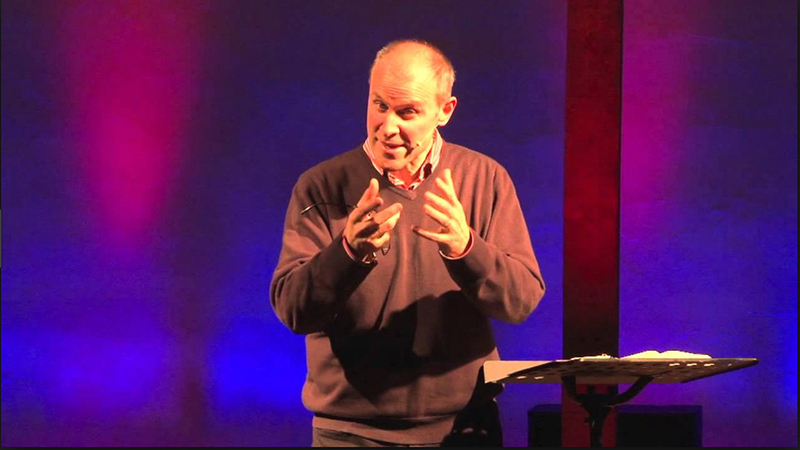 Having worked for 15 years at London’s Holy Trinity Brompton – home of the Alpha Course, which backed Thorpe’s Australian visit – he has seen the value of knowing what you are about but not then being stymied by points of disagreement with fellow believers. Church planting movements have tended to spring up outside of major denominations, free from the inherent bureaucracy, tradition and culture of an existing organisation. Trying to start something new within an established Christian denomination can be tough. But while church planting movements such as Acts 29, Geneva Push or City to City might be more nimble and have less hurdles to entrepreneurial endeavour, denominations have potential to offer scale. What Thorpe is doing in thee Church of England, can the thought of as planting a church-planting movement within an existing denomination. Basically, Thorpe’s model for Christian churches going forward is to work out how can the gospel be best served up in a particular place for particular people. Thorpe isn’t prescriptive or precious about the format; he just wants those involved to clearly know why and how they do what they do. “My starting point is to actually say that the assumption in Scripture is that the Church is going to grow. The growth parables of Jesus and the stories in the Acts of the Apostles; even in persecution, when the Church is scattered, the Church grows. The disciples pray and ask for boldness in Acts 4 – and for opportunities to preach the gospel. Thorpe is an exponent of making any necessary changes which “win the right to communicate the good news of Jesus, in a way that they can relate to.” He promotes pinching stuff from other denominations or Christian streams which have had success at bringing the good news to contemporary generations – without changing the message. The passion with which Thorpe talks about church planting or revitalising can seem to skate across his earlier acknowledgment that some will reject the good news of Jesus. But Thorpe doesn’t pretend that evangelism is easy or will have guaranteed results. Instead, he takes another tip from Jesus about how to spread his good news. Recorded in Luke 10:6, Jesus instructed his initial disciples to look for the “person of peace” in any new place they visit. Scouring a community for the “person of peace” – “the person who is not just open to welcoming you, but is also a connecting person to many other people” – could be the gateway to sharing the gospel in a neighbourhood. “There will be people and places that reject it but look out for the people who are open,” enthuses Thorpe.